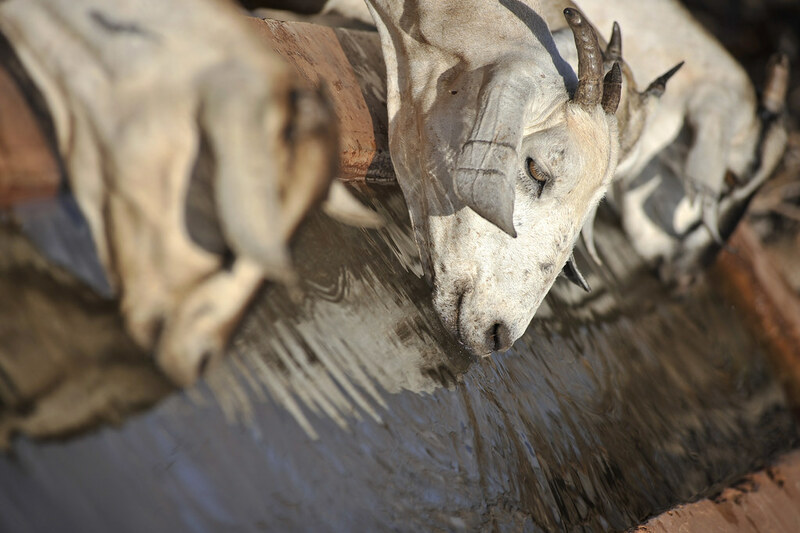 Goats at a water point near Wajir, northern Kenya (photo credit: ILRI/Riccardo Gangale). A recent livestock systems study says that the amount of water and land used in meat and milk production is mostly determined by the total numbers, feed conversion efficiency and diet composition of livestock. The study by scientists from the International Livestock Research Institute (ILRI), the World Agroforestry Centre (ICRAF), University of Twente and University of Hohenheim analyzed changes associated with direct and indirect use of freshwater and land for meat and milk production in Kenya over a 20-year period between the 1980s and 2000s. Water, like other natural land resources, plays a significant role in the operation of all ecosystems, and is a fundamental component of human well-being and socio-economic development. Experts in water and environmental systems argue that ‘the future of humanity will depend on our capacity to govern and manage water in ways that build resilience in an era of global change and growing indications of large-scale, undesirable risks caused by the unsustainable exploitation of ecosystems’. 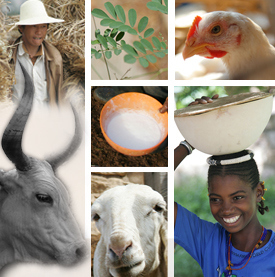 Livestock production is an important component of agricultural systems, and experts say mixed crop and livestock farming is central for future agricultural development. But increasing global consumption of livestock products as a result of increasing population, poverty reduction and dietary changes is putting pressure on already scarce freshwater and land resources. The ‘Trends and spatial variation in water and land footprints of meat and milk production systems in Kenya’ study focused on three–arid, semi-arid and humid–production systems. It showed that the humid system is the most productive and least vulnerable to pests and diseases, with average annual rainfall exceeding 800mm, followed by the semi-arid production system where the average annual rainfall is between 600mm and 800mm. In the arid production system, which is least productive, livestock production is hindered by the prevalence diseases, and the average annual rainfall is less than 600mm. The study’s findings show the total water consumed for meat production was 15–44 times more than the corresponding water consumed for milk production for all the livestock species across the production systems. This highlights the overall importance of cattle in resource use for meat and milk production in Kenya. While shoats outnumbered all the other species, cattle dominated the production of meat and milk in both periods and across all the production systems. Further, green water and grazing land footprints dominated in all production systems due to the predominance of indirect use of water to support forage production. What needs to be done to address this for sustainable production? The amount of water and other land resources consumed for meat production by cattle increased significantly over the 20-year period in all production systems, due to adverse trends in feed conversion efficiency. To address this, the researchers recommend rehabilitation of degraded rangelands, adoption of improved breeds and use of appropriate feed composition, as ways of helping meet supply for a higher demand for livestock products in the face of limited freshwater and land availability. The authors also call for more research to understand the factors that constrain the uptake of better feeding strategies and for more investment in improved feed production. Tags: Caroline Bosire, ICRAF, University of Hohenheim, University of Twente. Bookmark the permalink.